« rainy day, garden pictures, brief remarks. I love these, this, this and this. Apparently, white animal-shaped things are the order of the day. Of every day. 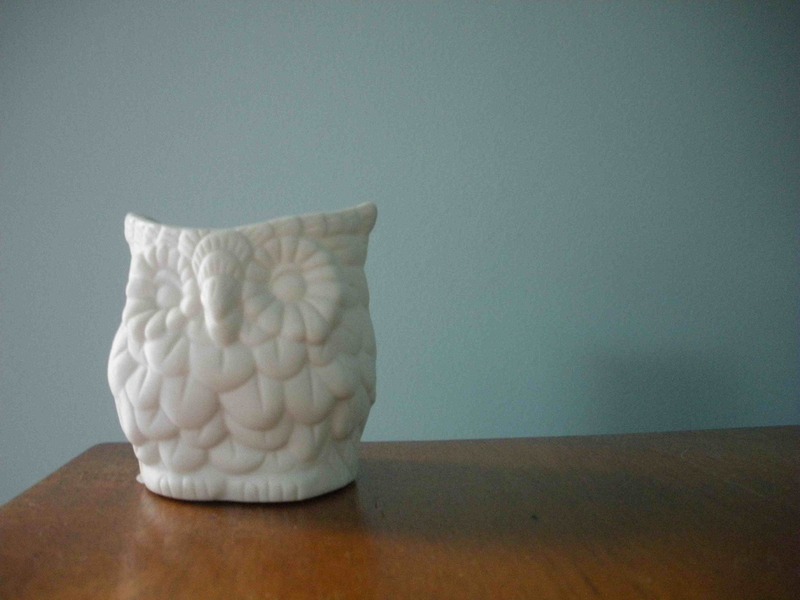 This little white owl actually contains a truly awful Coty “Sweet Earth” scented candle. It has to be about thirty years old. I need to get the candle out–without burning it. I’m kind of at a loss. I thought about putting it in the freezer so that it would shrink or harden or something, but I’m afraid that all of my food will taste like scented owl candle. That thing is potent. Can’t you just put it in a baggie and THEN put it in the freezer? Hang it upside down over a newspaper in the attic in the summer. The candle should gradually melt out.